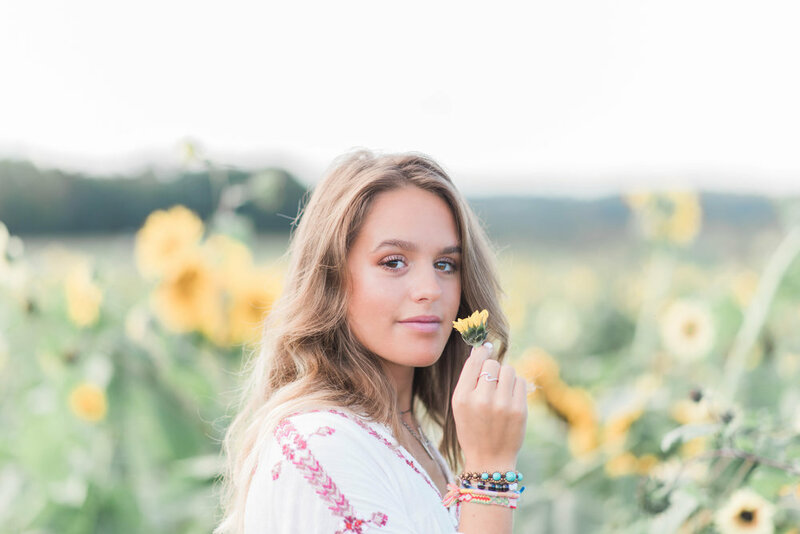 I photographed Kira’s older sister a couple of years ago for her senior session, so I was super excited when her mama reached out to me about photographing “little sister’s” senior session this year and that she was requesting a sunflower field for a location! Sunflower fields are now one of my favorite photo locations + I MOST certainly hope for more in the future (*Hint, Hint - anyone reading this, feel free to spread the word for next summer when those pretty flowers shine + bloom for their brief time). We then proceeded onto visit the apple orchard + some other fun locations.. check them out! 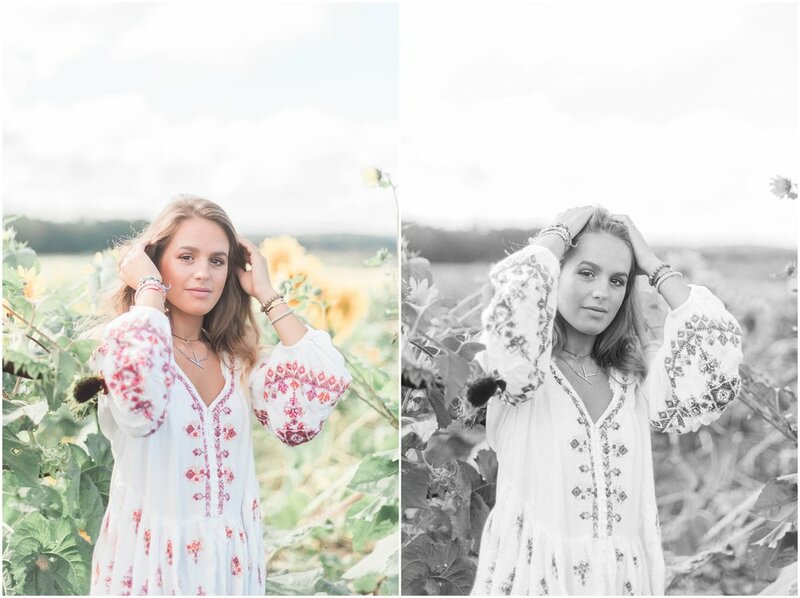 Kira, you were absolutely amazing during your session; I loved your style + I hope we brought your sunflower field vision to life. I loved your session and I wish you the best moving forward in your senior year and in your bright, bright future.